Jeffrey Steinberg, MD is board certified in Neurology and Sleep Medicine. He has fellowship training in pain management and diagnostic testing (EMG/EEG/NCS) with over 30 years of clinical experience. Dr. Steinberg’s accomplishments include establishing and being the medical director for the Leeza Gibbons Foundation, a national charity organization focusing on the caregivers of those affiliated with Alzheimer’s. Dr. Steinberg was an Allergan certified national Botox instructor, teaching other physicians the proper injection techniques for chronic migraines and headaches; as well as being involved in many clinical research studies involving neurological disorders and qualified as an expert medical adviser for neurology (EMA) for work-related injuries. Dr. Steinberg treats a wide spectrum of neurological problems and conditions including but not limited to migraines, headaches, non-surgical neck and back pain (acute and chronic), gait imbalance, insomnia with daytime fatigue, ADD, Alzheimer, multiple sclerosis and nerve damage. He is skilled in medical and cosmetic Botox and performs nerve blocks and trigger point injections. 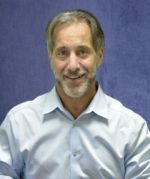 Dr. Steinberg individualizes a comprehensive, compassionate care plan for each patient by merging his clinical knowledge with his understanding of nutrition, acupuncture, and chiropractic. A wide spectrum of neurological problems and conditions including but not limited to migraines, headaches, non-surgical neck and back pain (acute and chronic), gait imbalance, insomnia with daytime fatigue, ADD, Alzheimer, multiple sclerosis and nerve damage. Dr. Steinberg is involved in many clinical research studies involving neurological disorders and qualified as an expert medical adviser for neurology (EMA) for work-related injuries. Jeffrey Steinberg, MD is a neurologist located in Plantation, Florida. You can contact his office at (954) 900-6699.